Gamblingherald.com provides gambling-related informational material, reports the latest updates about the gambling industry, and markets online gambling-related services. The main source of revenue for Gamblingherald.com is advertising and revenue share of the income gained through the players of the online gambling sites which are referred by the tracking links exhibited clearly on Gamblingherald.com. Gamblingherald.com is a privately owned website which neither operates an online casino nor being operated by an online casino operator. The online gambling sites mentioned in Gamblingherald.com have no influence over the content we cover. Online casino reviews published by Gamblingherald.com are objective and not influenced by the representatives of the online casinos mentioned on the website; Gamblingherald.com does not accept incentives to create positive reviews. The promotional offers announced by Gamblingherald.com are the offers announced by the online casinos themselves unless they are exclusive offers for Gamblingherald.com readers. In this case, the promotions are labeled as exclusive in the title and also in the review table. Gamblingherald.com guidelines oppose to any kind of bias and unethical behavior such as accepting incentives to publish positive reviews about online casinos. The editorial staff is not involved in any business relationship with online casinos. The business relationship between Gamblingherald.com and the online casinos mentioned on the website is limited to sending potential customers to the online gambling destinations through affiliate links. The promotional offers and bonuses mentioned on Gamblingherald.com reflect the official offers announced by the online casinos. Affiliate links are demonstrated openly on Gamblingherald.com. We make sure that our visitors do not face spam pop-ups and bait links which direct visitors to malicious websites. The information in any of our articles is for general information purposes only and does not replace the text of original statutes, or legal advice from your attorney, lawyer or other professional legal services provider. We highly recommend you to check out current laws in your country or jurisdiction, as well as an online casino's relevant rules and restrictions before playing or funding your account. Players must accept full responsibility for knowing and following laws regarding online casino gambling. 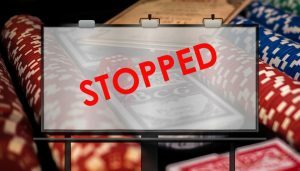 Gamblingherald.com will not be held responsible for any actions which may occur on a gambling website. In order to know more about the gambling regulations in your country, check our Gambling Laws page.